After the confirmation of tour /service, if there are any price hike in entry fees to the monuments / museums, taxes, fuel cost or guide charges by Government of India, the same would be charged as extra. (If we are providing you the same). 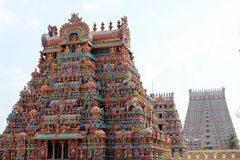 South India Tours and Travels acts only in the capacity of agent for the hotels, transporters, tour related service agents, guide services, agents providing tour services. 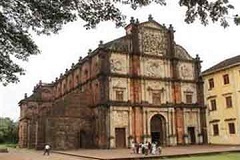 All itineraries are sample itineraries that showcases you a general idea of the likely trip schedule. Numerous factors such as weather, road conditions, the physical ability of the participants etc. may dictate itinerary changes either before the tour or while on the trail. We reserve the right to change any schedule in the interest of the trip member' safety, comfort & general well-being. We shall not be responsible for any delays & alterations in the tour itinerary or expenses incurred directly or indirectly due to natural hazards, flight cancellations, accidents, breakdown of transport, weather, sickness, landslides, political closures or any untoward incidents. We shall not be responsible for any loss, injury or damage to person, property, or otherwise in connection with any accommodation, transportation or other services, resulting directly or indirectly from any act of GOD, dangers, fire, accident, breakdown of transport, wars, civil disturbances, strikes, riots, thefts, pilferages, epidemics, medical or custom department regulations, defaults, or any other causes beyond our control. 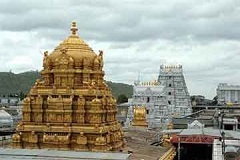 South India Tours and Travels has the right to assign its rights and duties to any party at any time without prior notice to you. 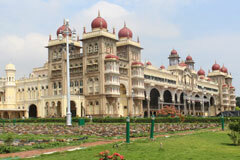 South India Tours and Travels shall have no liability to you for any interruption or delay in access to the Web Site. You understand that your user account is non-transferable. Any disputes arising out of this agreement shall be governed by the Laws of India. This Site is not intended for persons under 13 years of age. We do not knowingly solicit or collect personal information from or about children. When using the Site you may be asked to enter User Information. Such User Information will only be used for the purposes for which it was collected. In order to send you periodic communications (this may include e-mail), about features, services, events and special offers. It is your responsibility to fulfill the passport, visa and other immigration formalities applicable to your itinerary. You should confirm these with the relevant High Commissions, embassies and/or consulates. We do not accept any responsibility in the case of you being unable to travel due to not complying with any such requirements. We do not have any insurance policy covering the expenses for accident, sickness, loss due to theft, or any other reasons. Clients are advised to get such insurance arrangements in their home country. All baggage, your valuables & personal properties at all times are at the client's risk.